From the author of the “wonderfully crafted” (San Francisco Book Review) Ghost on Black Mountain comes a haunting gothic novel set in the Depression-era South about two young women who form an unlikely alliance when the spirit of a dead woman takes up residence in their home.Shelly Parker, a sixteen-year-old servant who works for the tyrannical Pastor Dobbins and his family, has had the gift of sight for as long as she can remember. She’s grown accustomed to coexisting with the spirits of the dead who roam Black Mountain, telling Shelly their stories and warning her of the dangers that surround her. When the ghost of Arleen Brown, a poor woman who died on the mountain during childbirth five years earlier, begins to pursue Pastor’s daughter Faith—hell-bent on revealing a terrible secret that she took to her grave—Shelly is the only person that can help her. 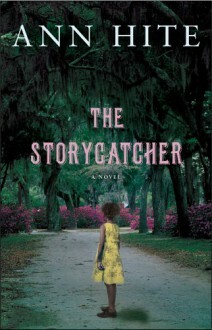 The two young women soon find themselves tangled up in a web of secrets and lies that takes them from Black Mountain to the murky saltwater marshes of Georgia, uncovering long-hidden truths that put their own lives in danger… Atmospheric and infused with supernatural elements, Hite’s novel is a rich and wonderfully eerie tale that will stay with you long after the story ends.